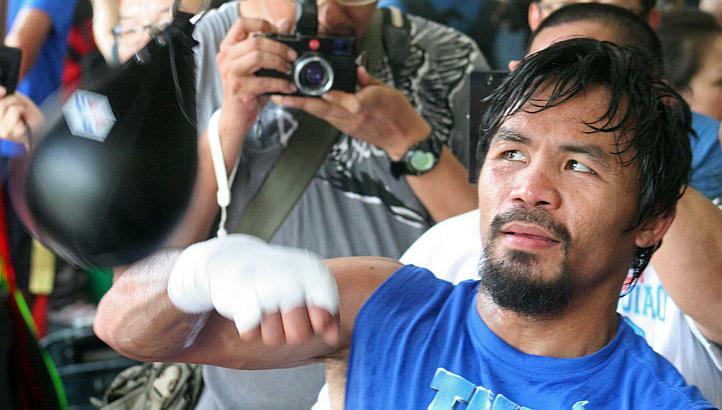 HONG KONG (AFP) - Philippine boxing great Manny Pacquiao said Wednesday he was expecting to defeat American Brandon Rios in Macau later this month, but insisted if he did lose he would not retire. The 34-year-old, once regarded as the best pound-for-pound fighter of his generation, faces the bout of his life in the semi-autonomous Chinese territory as he bids to break a losing streak and keep his boxing legacy intact. "It's one of the most important fights of my career because I want to show my fans and the world that I can still compete at a high level with elite boxers," Pacquiao, speaking from his training camp in the Philippines, told reporters during a group phone interview. A former champion in an unprecedented eight weight divisions, Pacquiao - who turns 35 in December - is seeking to come back from two consecutive defeats which have led supporters to question if he should hang up his gloves.